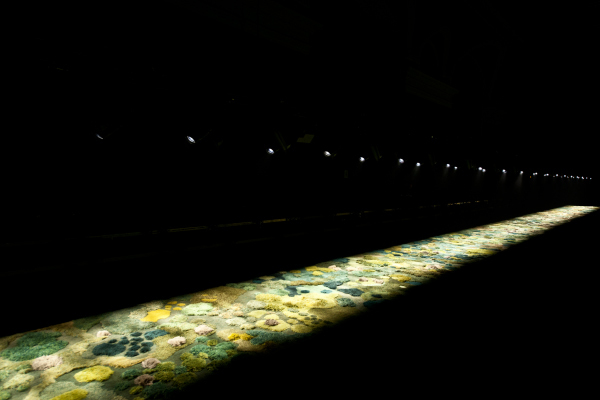 For his Spring/Summer 2015 women’s fashion show last year, Dries Van Noten collaborated with Argentine artist Alexandra Kehayoglou to create an extraordinary art piece for the runway. You can now relive the experience at PMQ Hong Kong. 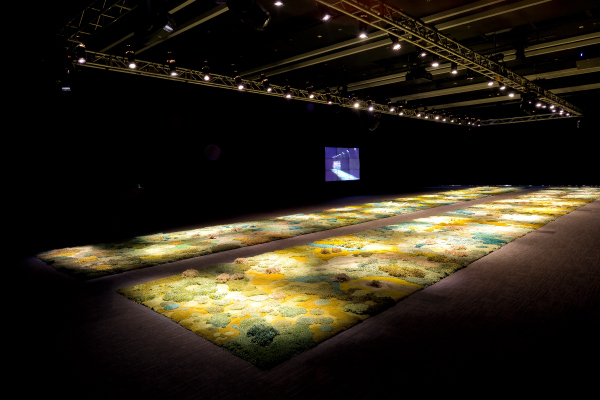 Kehayoglou’s grew up surrounded by a rich history of textiles, including rug and carpet making, This unique artwork consists of a handmade 48-metre long and three-metre wide carpet that comes in four parts, twelve meters each. 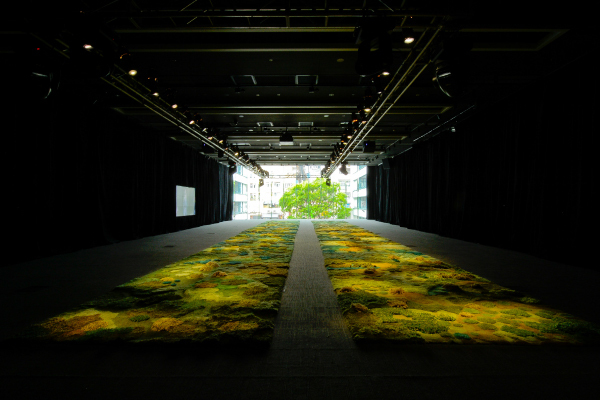 The carpet has been woven and tufted entirely by hand over four weeks and arrived just in time for the show. 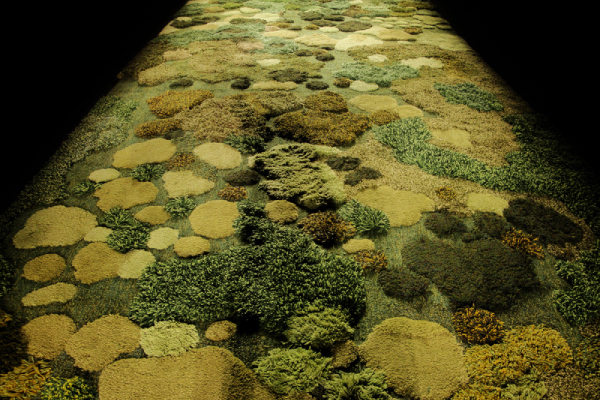 The carpet evokes moss and grass and is made of pure Patagonian wool. 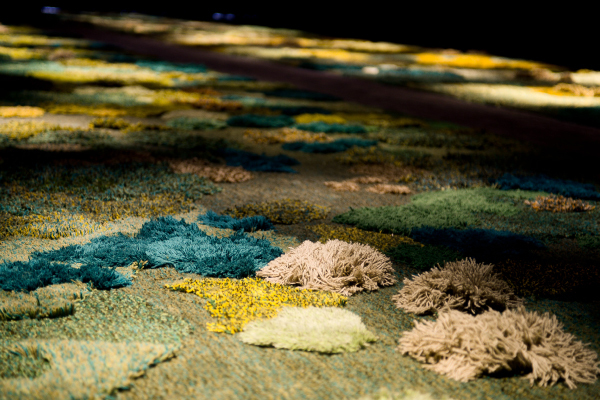 It took four weeks to create the carpet and this is the biggest project of her career. 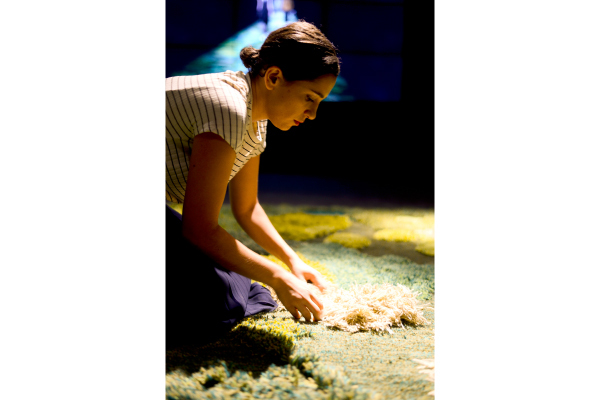 Three teams of ten carpet makers worked in shifts around the clock. 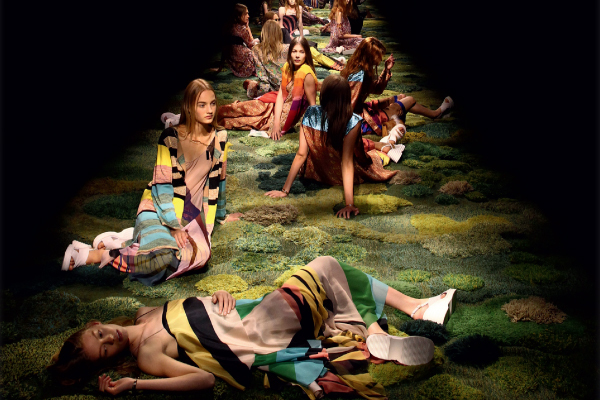 The setting for the Spring/Summer 2015 show was inspired by Summer Festivals and the solstice, A Midsummer Night's Dream, quiet and sylvan revolution. 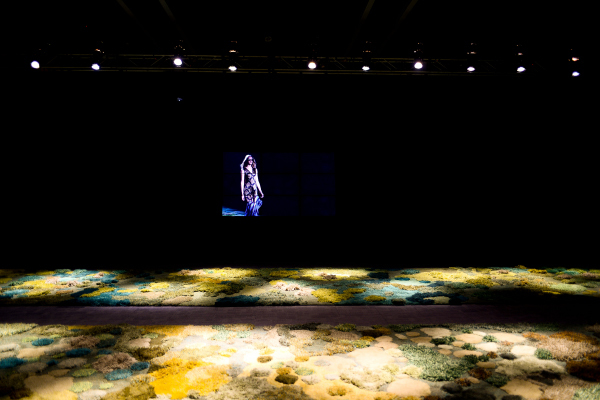 “As soon as I discovered Alexandra‟s work I immediately understood she was the only one I could collaborate with to execute the idea,” explained Dries Van Noten. 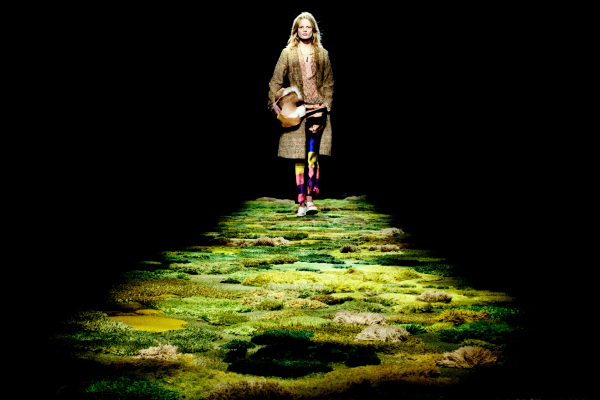 This magical moment will soon be recreated at a touring exhibition featuring two sets of carpets and runway footage. 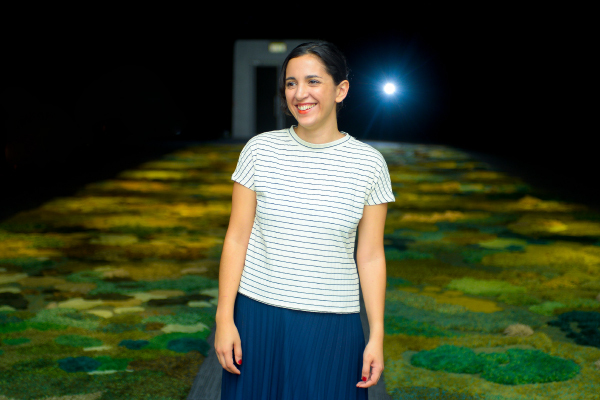 The world tour will kick off in Hong Kong, as artist Alexandra Kehayoglou makes a personal appearance for the opening at PMQ. Please follow Joyce's official instagram @joycehk and hashtag #DVNHK and #joycehk for this exhibition.